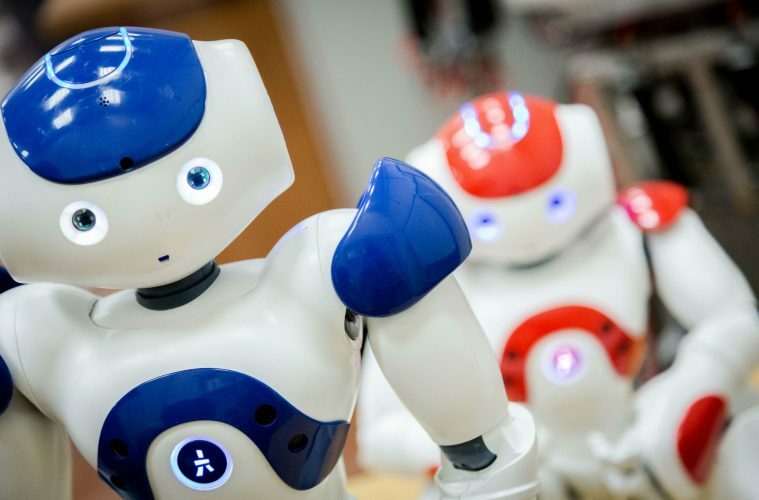 This Friday, November 24th, the Institute of Technology Sligo hosts a full-day public symposium on the use of social robotics, artificial intelligence and digital technology in the areas of healthcare and education. The event is part of EU Robotics Week 2017. Practitioners, researchers and designers from Ireland, Denmark, Norway, the Netherlands and England will discuss new developments in care technologies, what this means for the cared-for and those who care for them. They will explore the ethical and policy issues that may arise. The event is open to students, professionals, service users and the general public. No prior knowledge of the technology is required, just a curiosity about what the future holds. Across the world, there is great interest in the rise of robotics. Barely a day goes by that we don’t hear of dramatic new developments in robots and artificial intelligence (AI); economists debate the numbers and types of jobs that may be under threat from robots; and tech gurus like Bill Gates, Stephen Hawking and Genevieve Bell sound warnings about the very future of the ‘human species’. In film and television, shows like Ex Machina, Her, Humans and, most recently, Bladerunner 2049, have introduced a variety of human-like robots. They raise interesting and important questions about the blurring of boundaries between humans and sophisticated and intelligent machines. One area where robots are increasingly visible is the field of care. In such areas as dementia care and the education of children with autism, professionals are using companion robots such as the robotic seal Paro, the friendly educational robot Nao, and sophisticated humanoid robots such as Sophia, who famously became a citizen of Saudi Arabia in October 2017, but is also used in work with people with dementia. But what is happening in the real world and what are the implications for carers and the cared-for, and for educators and policymakers? “This is a new frontier for all those involved in care that we all need to be thinking and talking about,2 argues ,” says Dr Perry Share social researcher at IT Sligo and symposium organiser. Friday’s symposium will provide an opportunity to hear about projects and products already in use in Ireland and elsewhere, direct from designers and researchers themselves. The Symposium runs from 9am to 4pm this Friday, November 24th in the Aurivo Auditorium at IT Sligo. The registration fee is €20 and this includes refreshments and lunch. Full-time students can attend for free. To register online, visit www.itsligo.ie.